Huawei’s sub-brand Honor unveiled the all-new flagship Honor Play around June 2018, in China. 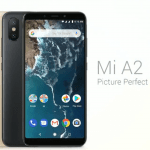 The device is already teased by Amazon and will be launched in India on August 6 as an Amazon Exclusive and could compete with the Xiaomi’s Mi A2. 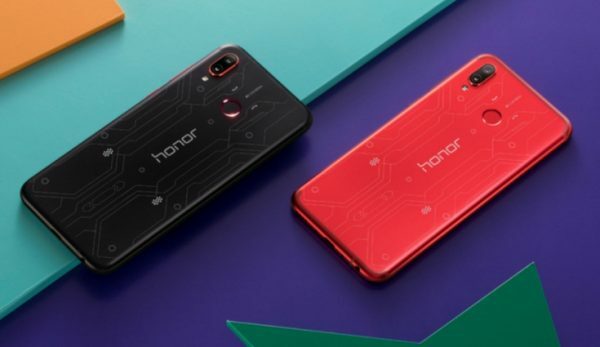 The Honor Play is Honor’s take on a gaming-centric flagship phone to follow up with the likes of Razer phone, Xiaomi’s BlackShark and the recently announced Asus’s Rog phone. It was released in China along with the Honor 9i 2018 which landed in India as the Honor 9N, a few days ago. As the name sounds, Honor has focussed mainly on gaming with this phone and has packed in certain nifty features including the company’s new Turbo GPU technology and 4D haptic feedback opting for an immersive and flawless gaming experience. In China, the Honor Play is available in Black, Blue, and Violet colour options and has been priced as low as CNY 1,999 (roughly Rs. 21,000) for the 4GB RAM variant and CNY 2,399 (roughly Rs. 25,100) for the 6GB RAM version. Looking at the past, we expect the device to come at a similar price in India. It has the potential to disrupt the market if priced Rs. 25,000 or less. Although, we expect only the 6GB variant to make it to India. Let us now talk about some of the Honor Play features and specifications. The Honor Play comes with flagship grade specifications, inclined towards Gaming. It features a metal back housing the antenna lines and fingerprint scanner. The phone sports a 6.3-inch Full HD+ (1080 x 2340pixels) IPS display with an aspect ratio of 19.5:9, aided by the notch. The display has a pixel density of 409ppi and has 85% NTSC colour gamut coverage. The device has an impressive screen to body ratio of 82.98%. Although the display is good, an AMOLED panel could’ve been a much better option. Under the hood, the Honor Play is powered by HiSilicon Kirin 970 SoC coupled with Mali-G72 GPU and a dedicated NPU. The built-in GPU Turbo boosts the overall graphics performance by 60% and reduces the power consumption by up to 30%. Additionally, the device is equipped with a liquid cooling system for better heat management. It comes in 4GB and 6GB RAM options along with 128GB of onboard storage. 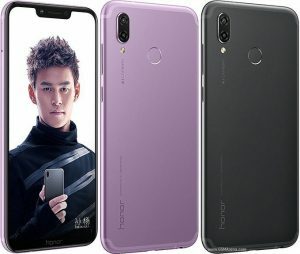 In the optics department, the Honor Play comes with an AI-powered dual camera set up at the back, featuring a 16-megapixel primary shooter having a f/2.2 aperture and PDAF paired with a secondary 2-megapixel depth sensor having an aperture of f/2.4. At the front, we have a 16-megapixel shooter with f/2.0 aperture for Selfies. This phone is not a camera-centric phone, so do not expect it to have extraordinary camera performance like other flagships from the company. The device integrates certain perks of being a gaming phone. The 4D haptic feedback feature powered by real-time scene detection vibrates the device accordingly while gaming. 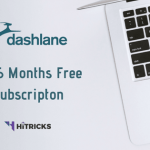 Furthermore, the company has bundled the Histen Audio Technology in the phone which allows 3D sound effects played in 7.1 channel while gaming, resulting in an immersive gaming experience. On the software front, the Honor Play runs on EMUI 8.2 based on Android 8.1 Oreo. All this is backed by a large 3,750mAh battery that supports Huawei’s SuperCharge fast charging protocol. Apart from this, all other basic sensors and connectivity options including Bluetooth 4.2, NFC and USB Type-C are present on-board. You can check the detailed specifications below. I am glad we finally got some smartphones in the sub-20k price range. Till now we have got the sub-15k and sub-30k price ranged devices, but finally some worthy middle ground holders. This device is made for gaming, hence the name. Kirin 970 CPU along with the NPU, should handle the device perfectly smooth. My only disliking is the EMUI 8.2 above Android 8.1 Oreo. I am a stock lover, but still I feel they have improved their software a lot. The camera utilizes the AI to process the image lighting conditions and other stuff.